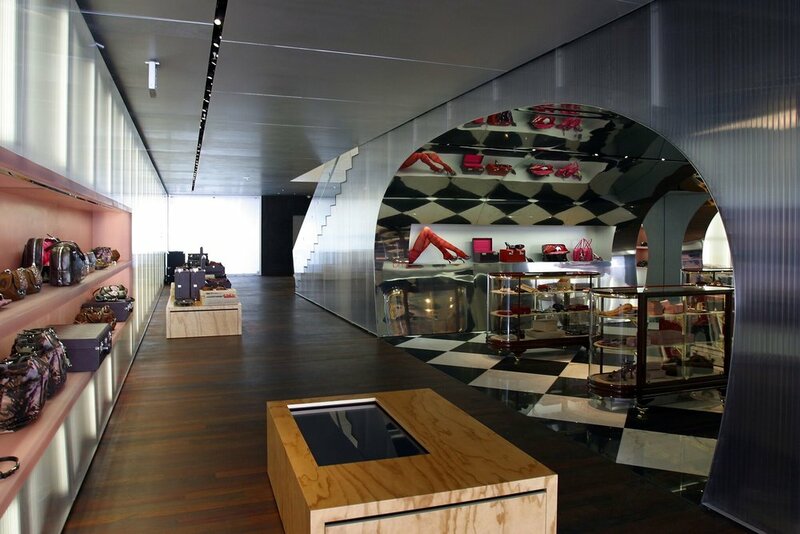 The Beverly Hills Prada Store, designed by Pulitzer winning architect Rem Koolhaas, is a unique brand-specific retail store. 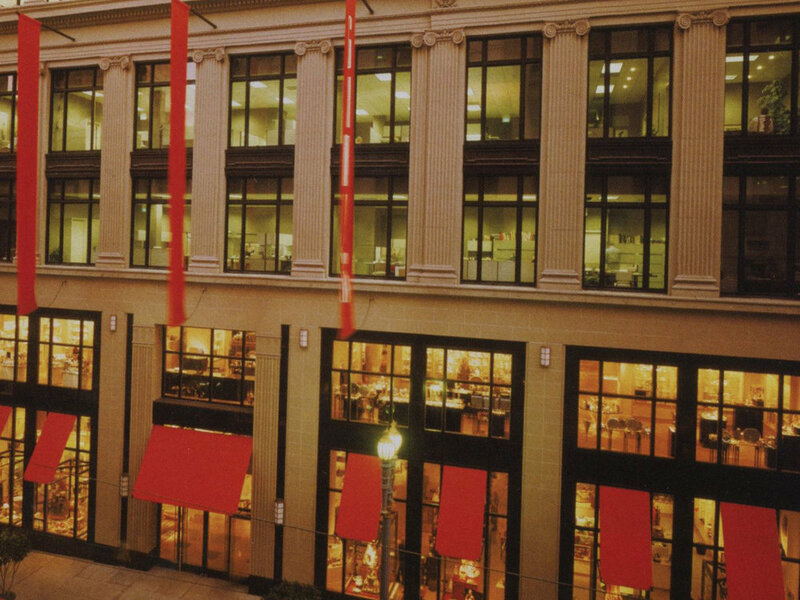 The absence of a traditional façade invites the public into the space from adjacent Rodeo Drive. 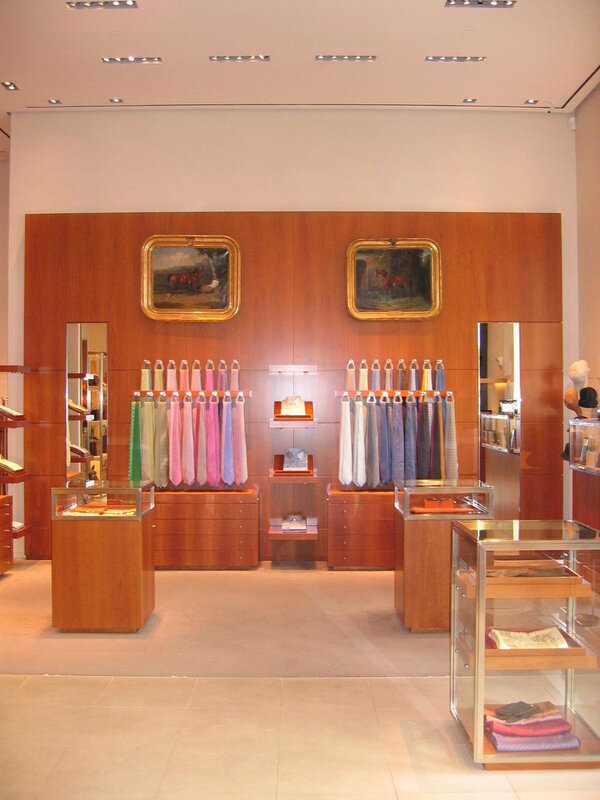 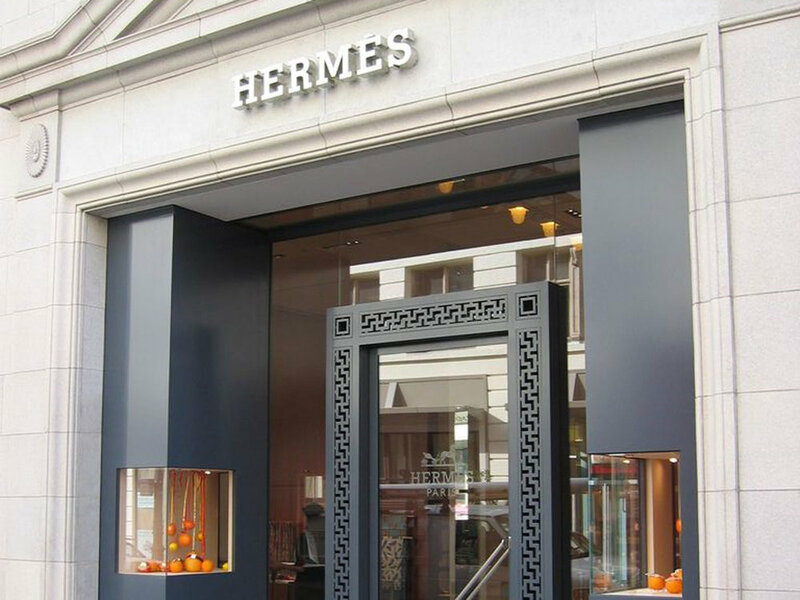 The high profile image of this legendary luxury brand is perfectly reflected in the design of the store and the high quality of the construction. 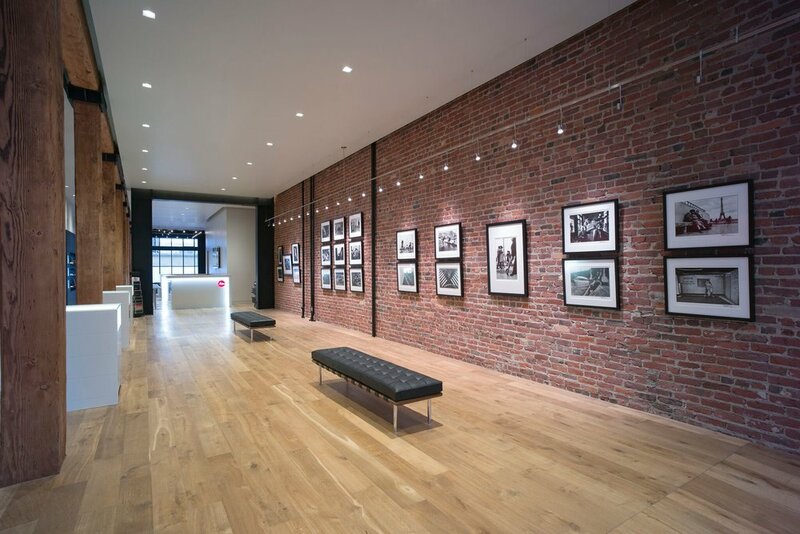 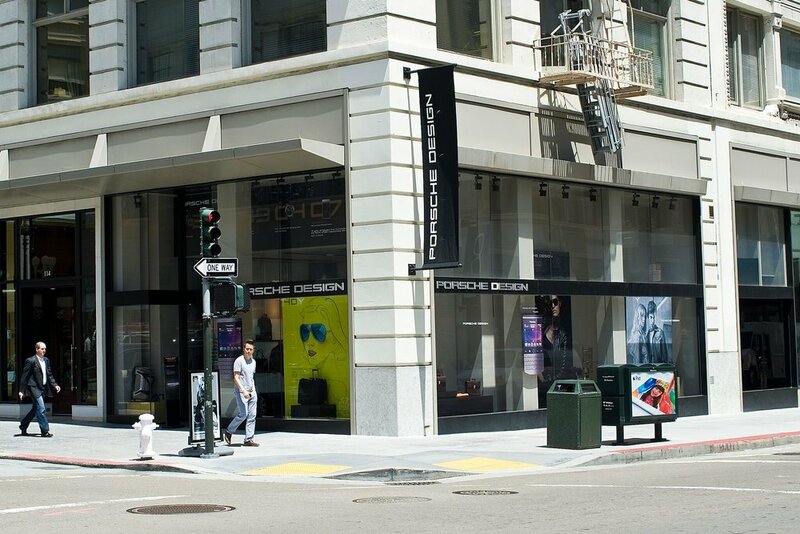 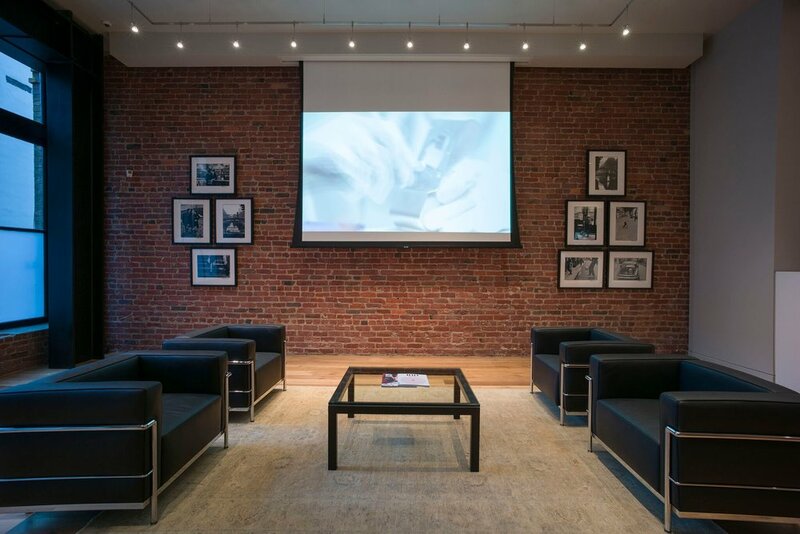 Porsche Design Store in Union Square brings another worldwide icon of performance to San Francisco. 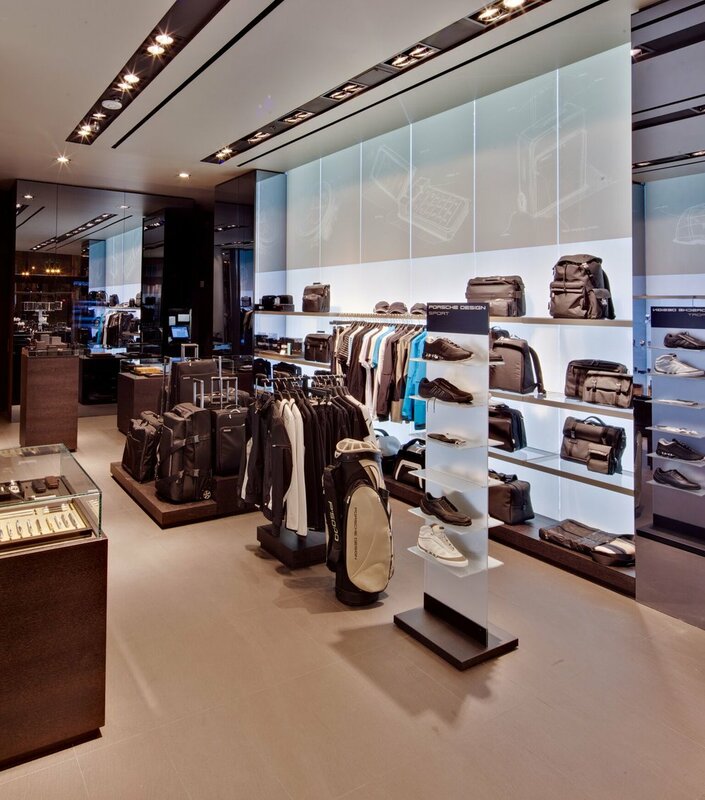 Porsche Design Stores feature clothing, accessories, sportswear, eyewear and personal items for connoisseurs of high performance. 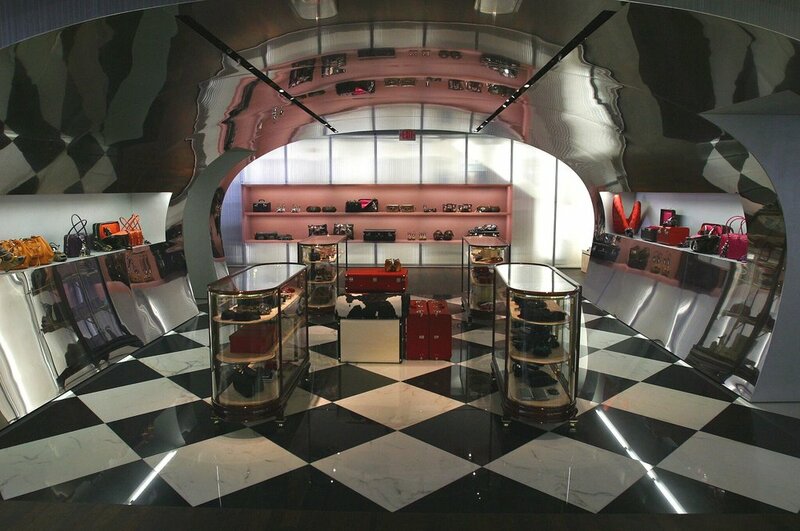 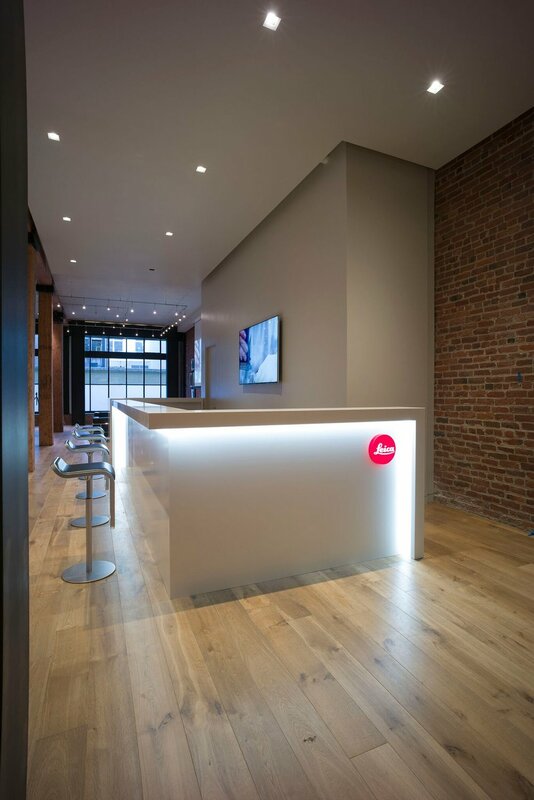 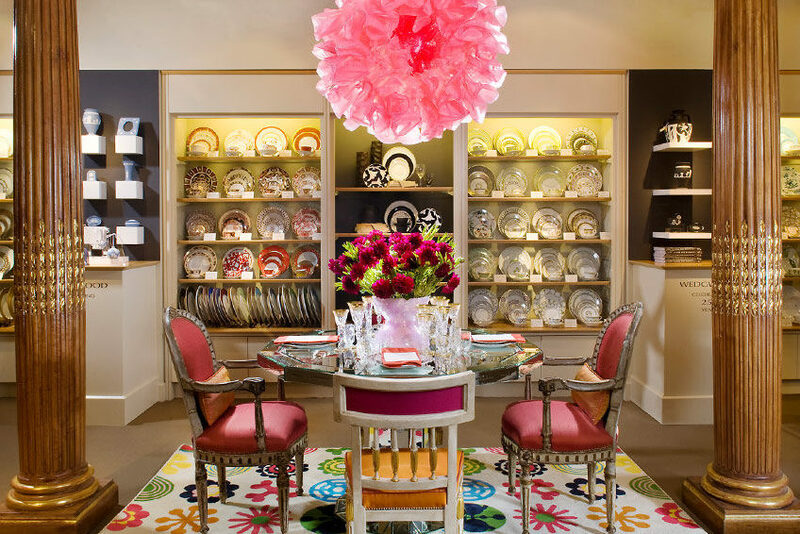 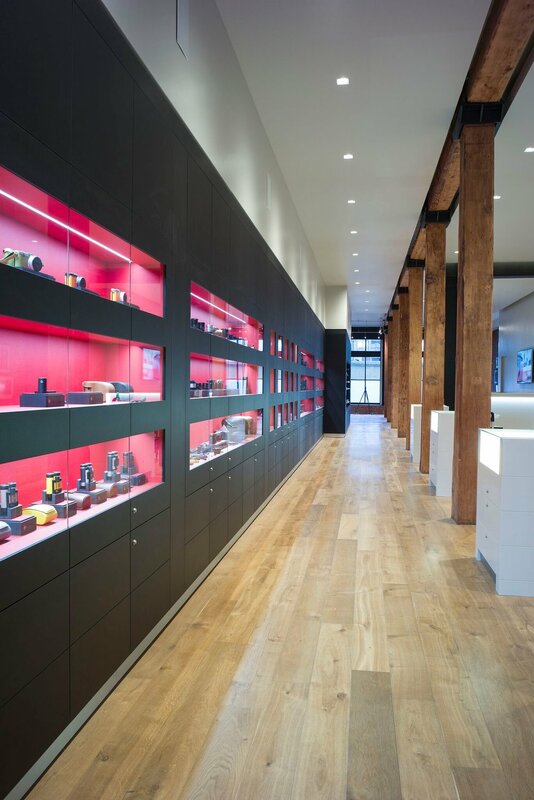 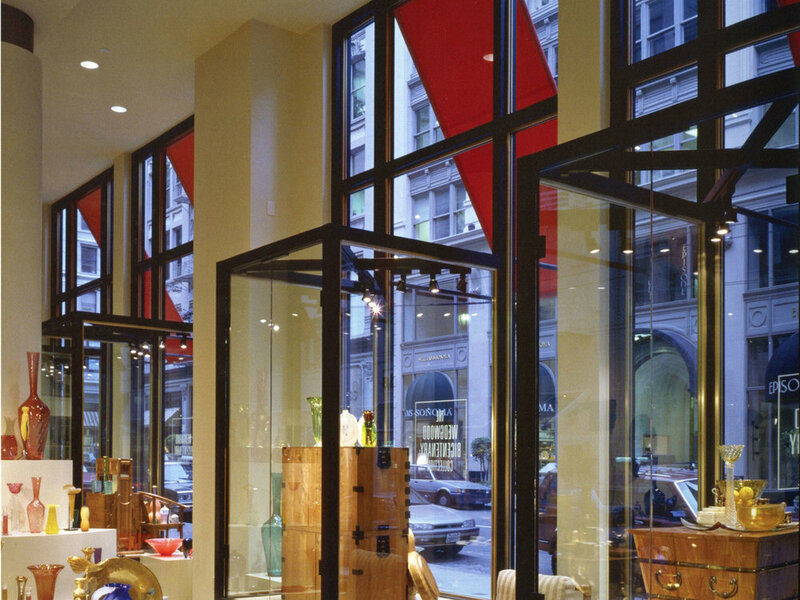 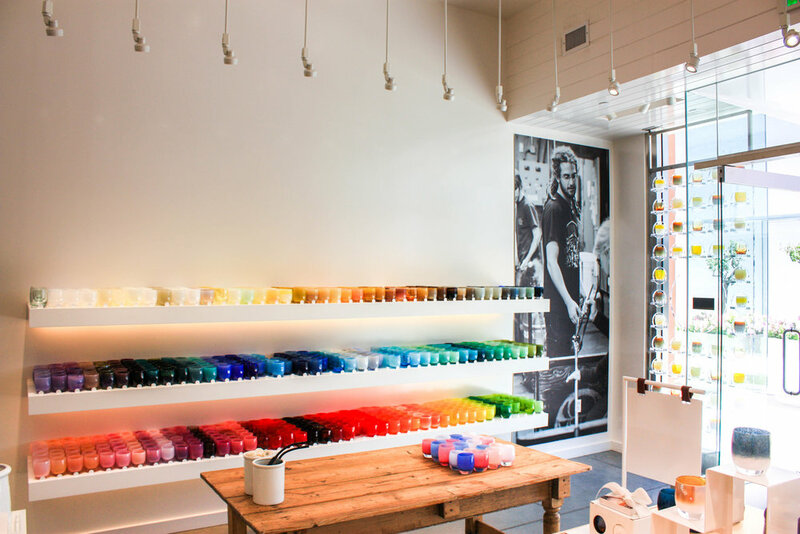 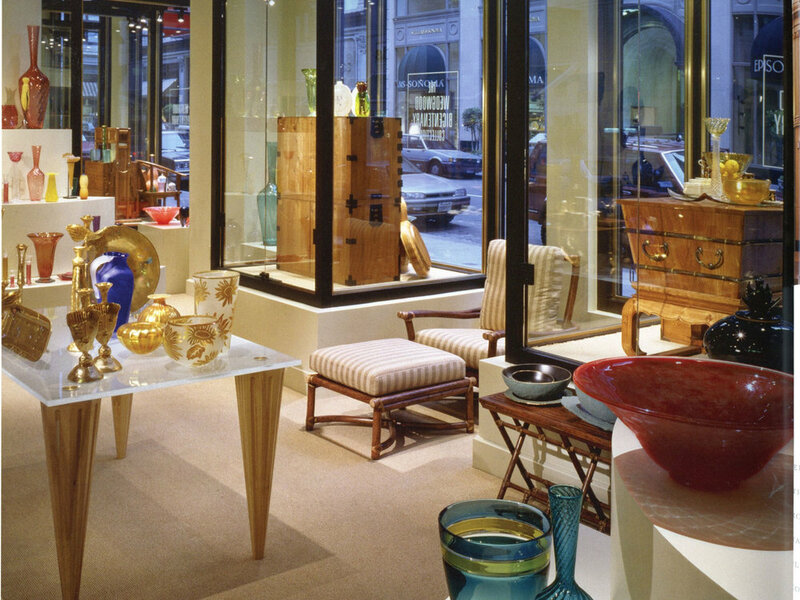 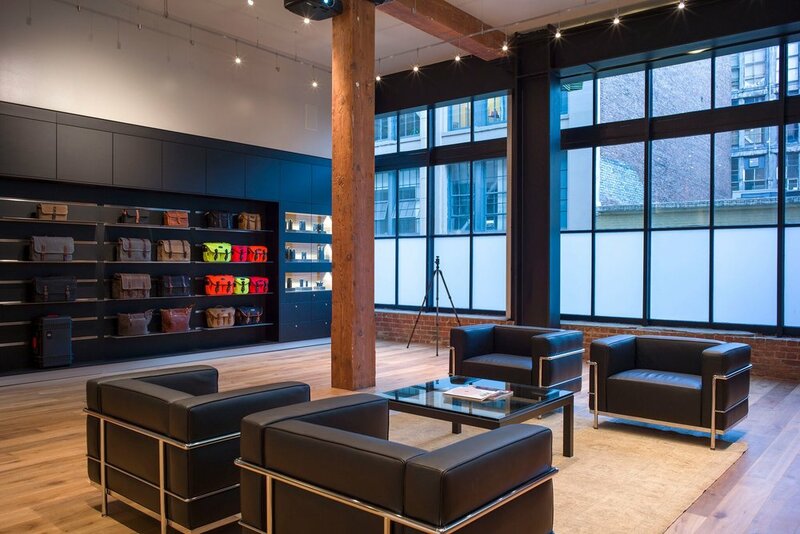 The 5,000 square foot store features clean, modern space that emphasizes design excellence. 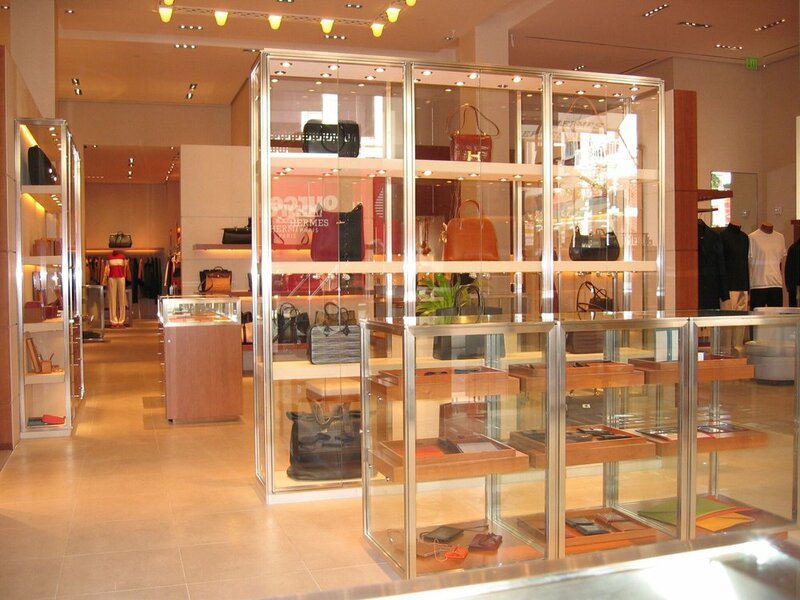 Construction of a 500 square foot boutique retail location at Stanford Shopping Center in Palo Alto. 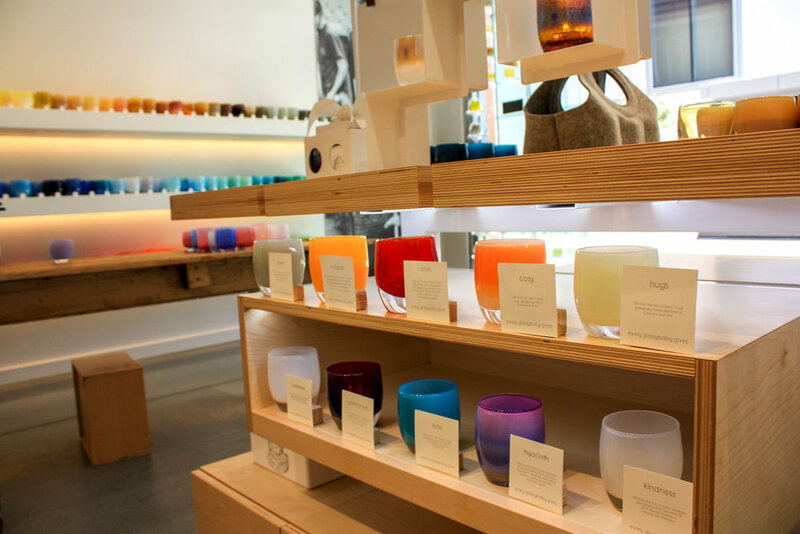 Glassybaby is working its way down the coast from Seattle to bring their handblown creations into the Bay Area. 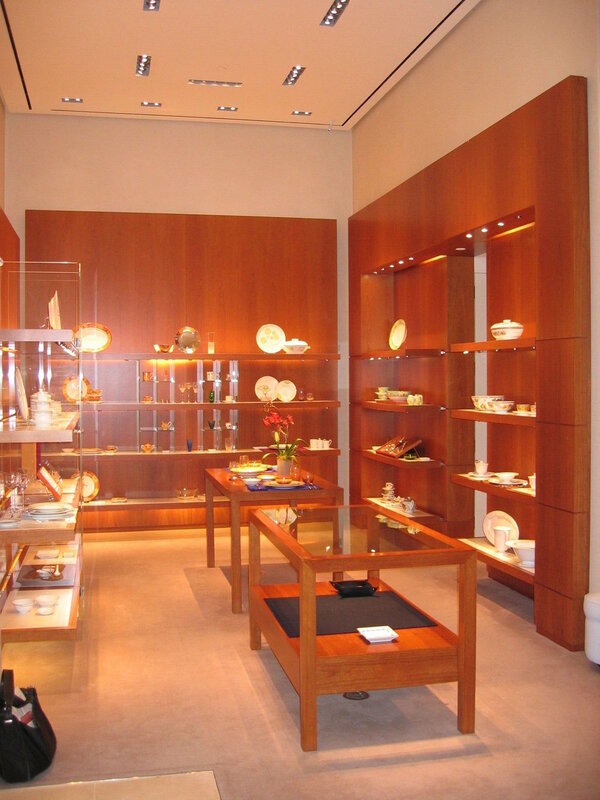 A percentage of each sale goes to a local Bay Area profit. 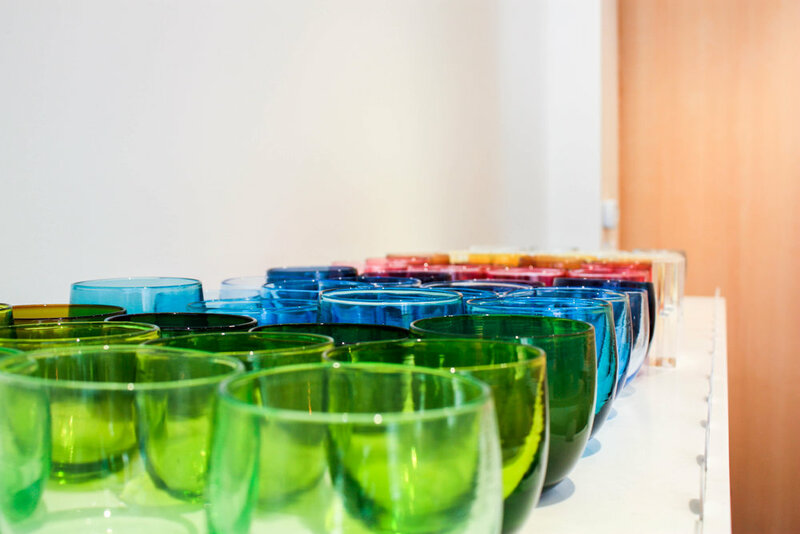 The interior improvements consisted of a simple, clean, white interior to showcase the color and beauty of Glassybaby drinkers and votive holders.